In iOS-powered device, the backups are encrypted and password protected on iTunes which is a good thing as you want to keep your backup data safe from invaders. When you need the backup, you need to enter the backup password to access that, but sometimes, we forget the iTunes Backup Password, and then there is the need for free iTunes backup password recovery tools that you can use to recover the password, and then unlock the backup. Selecting the appropriate backup unlocking tool is important for any iOS users and there are a wide range on the market that offer various functionality. Tenorshare is a famous software company that designs robust software programs. Tenorshare 4uKey - iTunes Backup is probably the best iTunes backup password recovery tool for decrypting the password to get access the backup. Its success rate is almost 100% which means it anyhow cracks the password. Recover iTunes backup password quickly. Unlock iTunes backup password for all iPhone, iPad and iPod touch. To get started, Download the latest version of the software and install it on your computer. Step 1: Launch the software and click on the option Retrieve iTunes backup password. Step 2: On the following screen, all the iTunes backups will be shown, just select the backup you want to find the password for and click on the Next button. Step 3: After that, you will be asked to choose an attack type from the three attacks available at your disposal. Once chosen, hit the Start button tp start password recovery. Step 4: Once the password is found, you will a pop-up window with the password shown on your screen. Click on the Copy button to copy it to your clipboard. There you go. That is how you find the password for an iPhone backup using a software. PhoneRescue iPhone Backup Unlocker is a free iTunes backup password recovery software program. In fact, it is a complete data recovery tool for iPhone. It fixes almost all iPhone related issues such as iPhone stuck in reboot loop, iPhone stuck on Apple logo, black screen, forgotten backup password. So, if you have forgotten iTunes backup password which you need to unlock the backup, use PhoneRescue iPhone backup unlocker to get access to your backup. 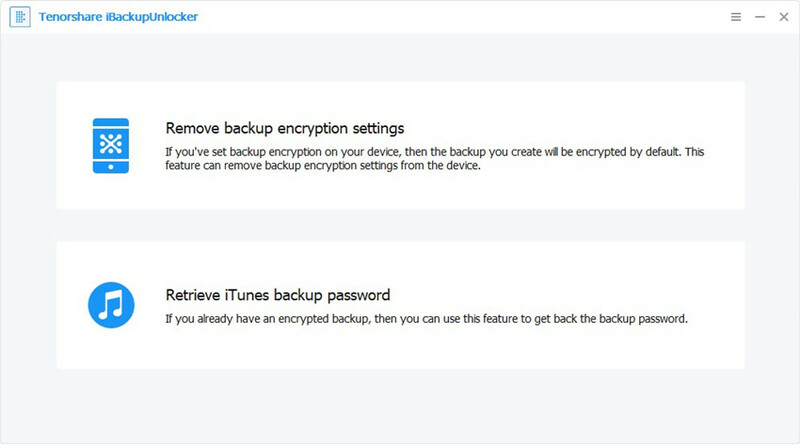 If offers to preview the backup and extract the data from the iTunes encrypted data backup. If your backup password is complex, it may take time to crack it, and get access to the backup. iSunShare iTunes Password Genius is another iTunes backup password recovery tool that offers a free trial to recover a backup password if the password is not more than 3 characters. Its password recovery rate tops among its competitor, and that makes it one of the best tools for iTunes password recovery. It offers 4 attack types that make sure to recover the iTunes backup password. It is a premium tool but offers a free trial for recovering the passwords not more than 3 characters. Easy to use, and there is no risk associated. Many Windows users have reported that it may give issues while recovering the backups of the iOS 11. Takes more time to recover the password. Jihosoft iTunes Backup Unlocker is one of the best iTunes backup Password recovery tools out there. It supports all the versions iPhone/iPad/iPod. It is available for both Mac and Windows, and it is highly compatible with various versions of OS. It offers 3 attack types for iTunes backup password recovery and accesses the backup data. Make no damage to the backup data while recovering the password. Doesn't support iOS 10.3 and above. iSumsoft iTunes Password Refixer is another tool for iTunes backup password recovery. It does offer 3 attack types to crack the password, and in most cases, it gets you the password for you. Provides 3 password attack types. Currently only available for Windows OS. 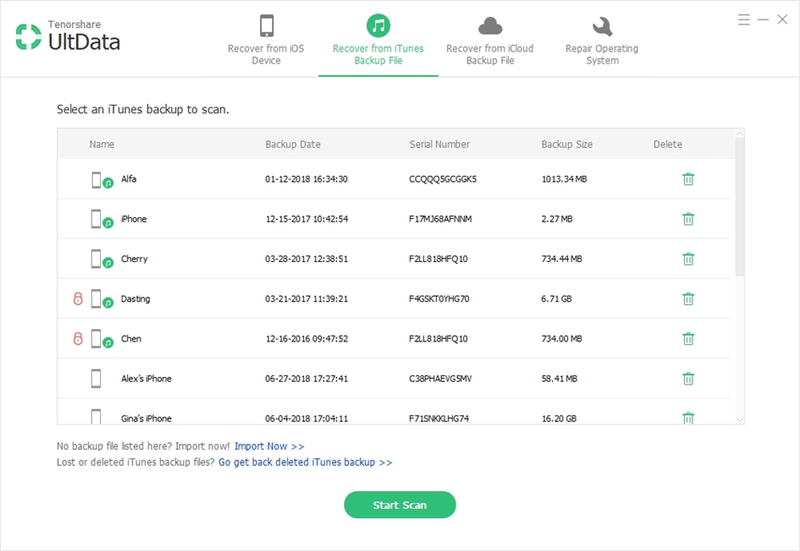 Backup is the savior because when you lose your precious data from your iPhone, it is the backup that can get you all the data back. That is why it is important to keep the backup secure. But, sometimes when you forget the backup password, you can make use of tools mentioned above to recover the backup password. All the tools on this list are efficient ones, but Tenorshare free iPhone backup unlocking tool is the most robust tool on this list of free iTunes backup password recovery.